The Phoenix Customization series features decorative paintings created on frames, scrolls and mirrors. One publishing house from China and one from the United Kingdom recently joined hands on designing and developing a cultural and creative brand targeting the international market. The cooperation agreement was signed by Jiangsu Phoenix Xinhua Printing Co and Flame Tree Publishing Ltd. 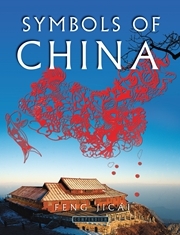 The former a subsidiary of China's publishing giant Phoenix Publishing and Media Group and the latter a UK-based independent publisher with a focus on art, music, lifestyle and fiction. The brand will get inspiration from the two companies' current cultural and creative product lines, the Phoenix Customization series and the Flame Tree series respectively, and will be further enriched to meet the diverse preferences of international consumers. 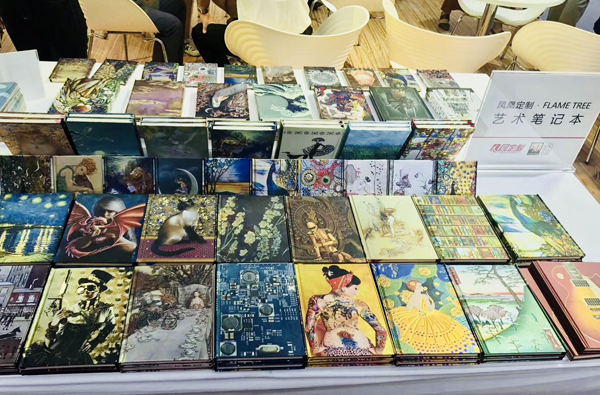 The debut product of the new brand will be notebooks with artistic designs featuring classic and characteristic elements of Chinese and Western master paintings. 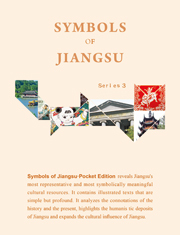 The Phoenix Customization series, developed by the Jiangsu Phoenix Xinhua Printing Co boasting high value-added features, has produced many unique cultural creations, such as decorative paintings created on frames, scrolls and mirrors. 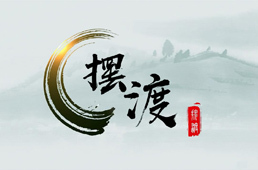 The series won wide popularity in Shanghai and Jiangsu, Zhejiang and Anhui provinces. The Flame Tree series, carrying forward an idea from The Art of Fine Gifts, sold well in over 30 countries across the world, including the UK, the United States, France, Spain and Italy. The artistic notebook series enjoyed particular popularity, for its Western painting covers, silver paper and gold stamping designs. Notebooks co-presented by Jiangsu Phoenix Xinhua Printing Co and Flame Tree Publishing Ltd are on display at the Phoenix stand of the 2018 Beijing International Book Fair from Aug 22 to 26.